Demopolis Lake, junctions with the Tombigbee River and Warrior River, about one mile above the south Alabama City of Demopolis. 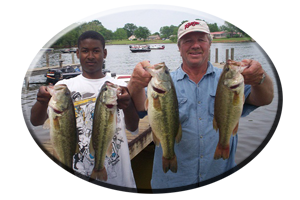 Here anglers have a choice of fishing up the Tombigbee River or traveling far up the Warrior River coming out of Tuscaloosa, Alabama. After the Lake being down 2-3 feet this Summer, Fall’s inevitable rains will swell both rivers back to the lake’s original full pool shoreline. Small shallow slews, dozens of feeder creeks, weed lined pockets and miles of swampy-looking backwaters, are places to target bass from September on into December. Most of these shallow backwaters will eventually show water temperatures drop into the low 50′s as winter slowly approaches. This is when bass will invade these backwater sanctuaries as they forage for crayfish, or follow the baitfish that migrate here each Fall. The mouths of these backwaters will have bass that were already here for the Summer. 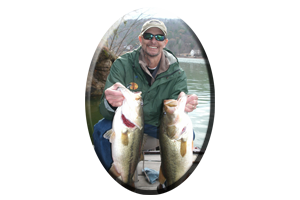 These are resident bass that are now feeding shallow for Fall. Many schools of bass just travel back and forth among these funneled-down areas in search of food during Fall. Cool days and nights creep in showing shallow flats (that always heat up the fastest in the Spring), cooling down in the Fall. Cover abounds throughout both rivers and in these scenic backwaters. Bass utilize each piece of weed and wood cover for ambush purposes including brush, stumps, laying logs, blown-down trees and…only in South Alabama, cypress trees. As bass begin their trek from the deeper creek mouths to the far back ends of these lake backwaters, these cyprees trees are stop-offs. 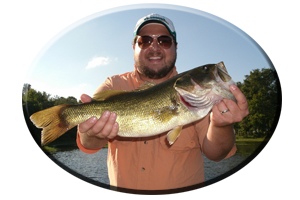 Cypress trees are great ambush spots for anglers to target, for there are some big bass that will temporarily occupy them this Fall. Aquatic weeds are another target for anglers to decipher in Demopolis. This Summer the lake was down 2-3 feet and aquatic weeds (now underwater) grew further from the banks of the lake. During late September and October, many types of aquatic vegetation will continue to grow, producing shade and oxygen, attracting the baitfish for security and the bass for feeding. Weeds also provide excellent ambush spots for some of the bigger largemouth bass. 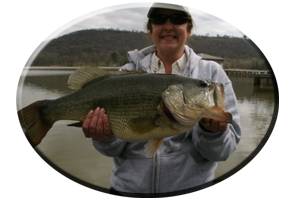 Some bass exceeding 10 pounds are taken each Fall season. With unseasonably mild Winters, November and December, can display new green weed growth in some weed types. 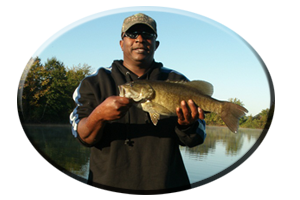 Weedless model lures are best choices, for less frustration and for catching bass this Fall on Demopolis Lake.